Déjà vu. Adobe buildings, dry desert sun, and it was the first time we heard English spoken more often than Spanish. 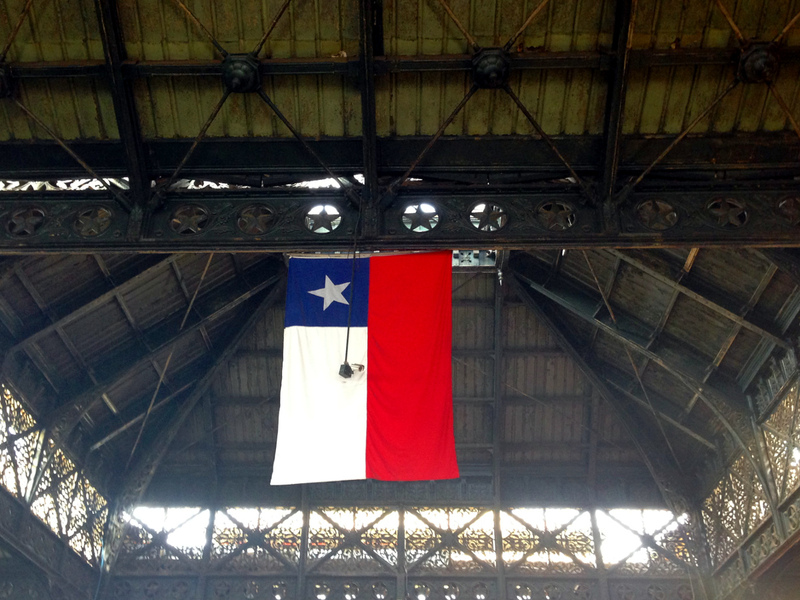 It didn’t help that the Chilean flag is very similar to Texas’s and there were old Chevy pick-up trucks on every street corner. 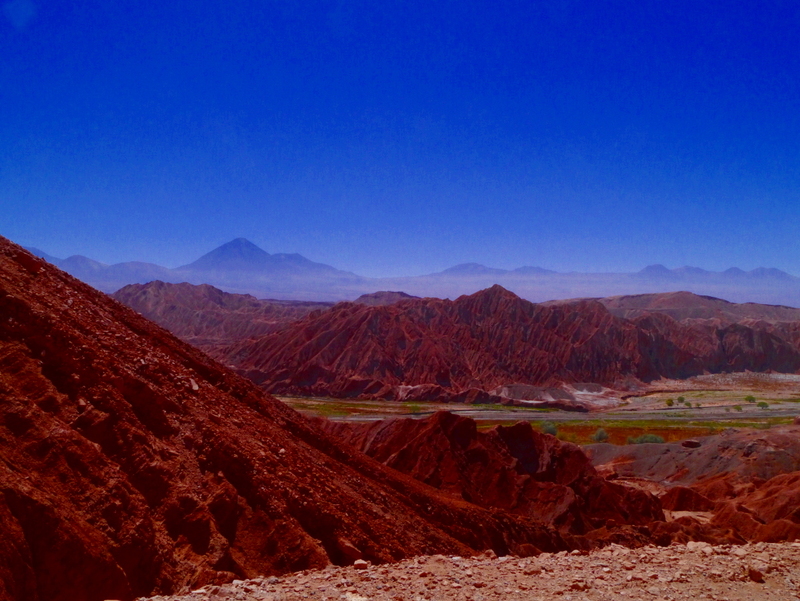 After traveling the past couple months through Colombia, Peru, and Bolivia – San Pedro de Atacama, Chile felt eerily familiar to the states. Next was the sticker shock. Our hostel cost $17 each for a night in a dorm room. Compare that to the $1.50 we were paying in Bolivia for a private room. It was back to cooking our meals, however the small desert town’s market made us miss the hustle and bustle of the markets further north. It was fun traveling with Luca and George because they were both keen on outdoor activities. We decided on an optimistic 54 km bike ride uphill to Piedra de la Coca and down for a relaxing swim at the salty Laguna Cejar. The bike shop’s directions were included “turn right at the big tree.” We crossed our fingers that that information would be enough and headed off. I don’t do much biking, especially not uphill biking. George led the pack (if you can call 100+ meters ahead even the same pack) through the uphill path to Piedra. Pump, pump, pump and we muscled our way up to a tunnel. It was a funny dynamic to watch Luca suggest that we’d had enough and should turn back while George insisted that we had hike to the very top! In the end, I’m glad that King George prevailed and we were rewarded with a beautiful view. 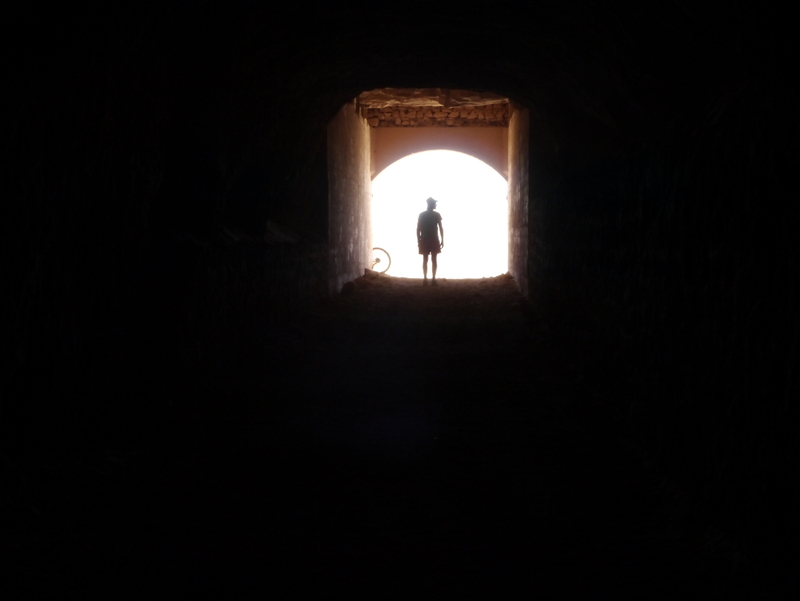 The bike ride up was a matter of muscle, but the descent, littered with potholes galore, was always what scared me. Slowly, slowly, slowly, but I still managed to flip(!!) over my handlebars, sending the bike above my head. Fortunately, I managed to land on my feet and dodged the bike. With only a bruised shin, I was incredibly lucky. In hindsight, it was a good decision not to attempt the Bolivia Death Road bike ride. 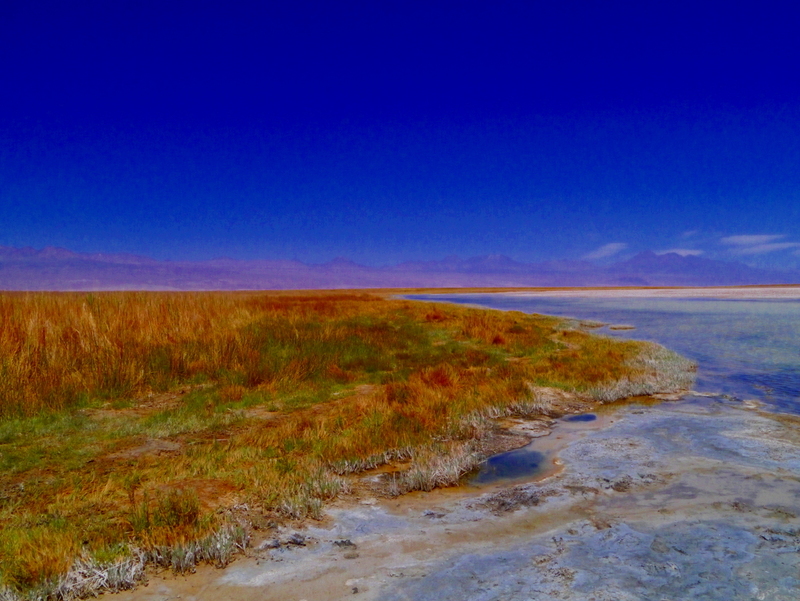 Next stop: the salt lakes. We did indeed turn right at the big tree before coming to Laguna Cejar. 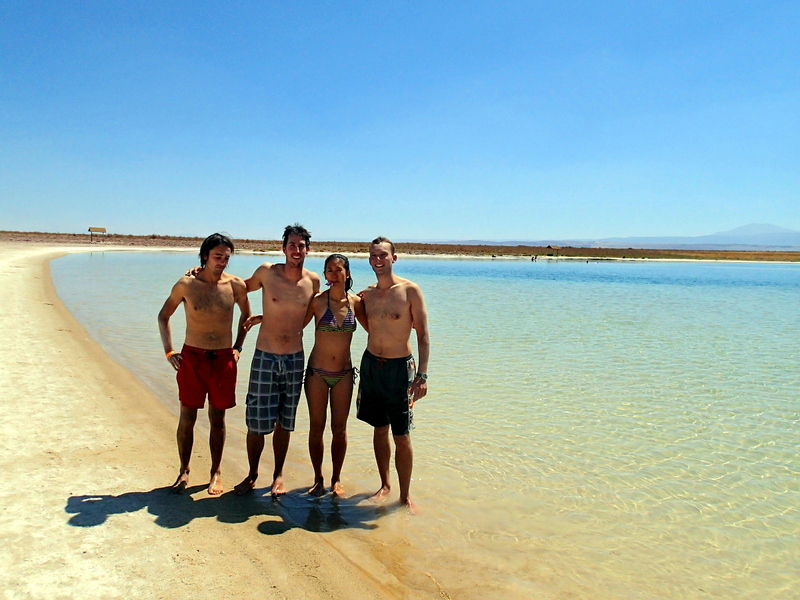 A swim was a handsome reward for pedaling through the driest desert in the world. The lake is saltier than the Dead Sea; try as we might, it was impossible to swim down more than two feet. George and Luca left that afternoon, but Matt and I stayed behind so that we could relax after a 54 km day of bikes. 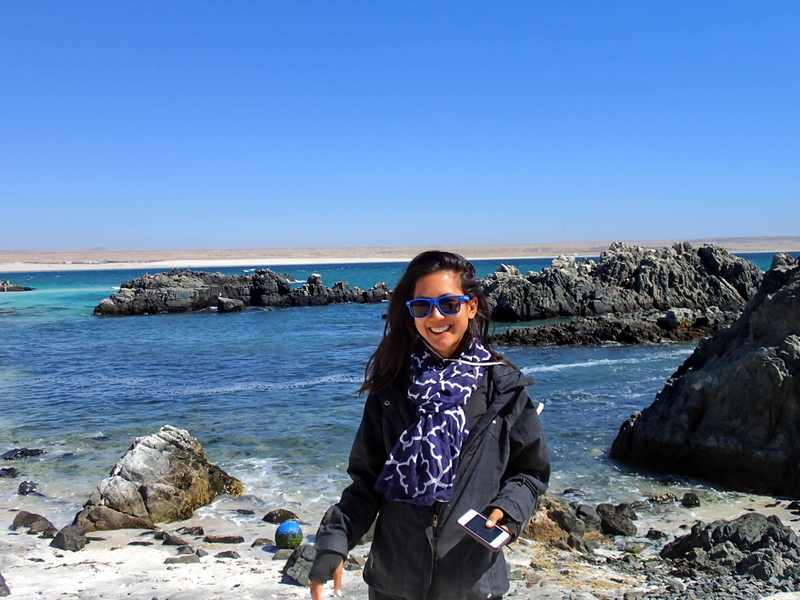 We had a few extra days before we planned to be in Santiago, so we decided to make a couple stops along the coast. 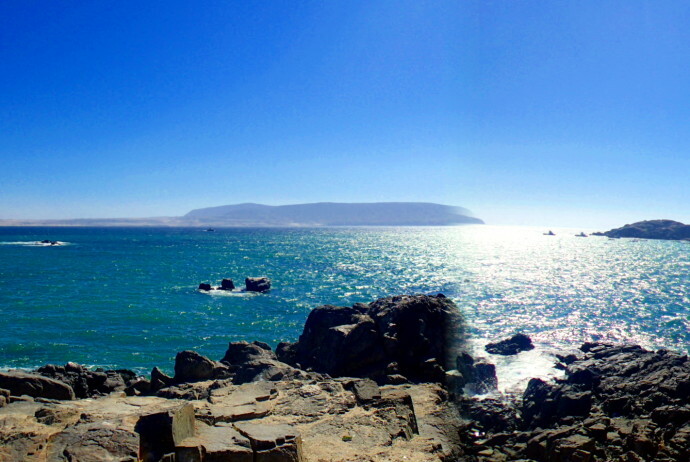 Caldera and La Serena seemed like the perfect stops to catch some sun and enjoy the Pacific beaches. 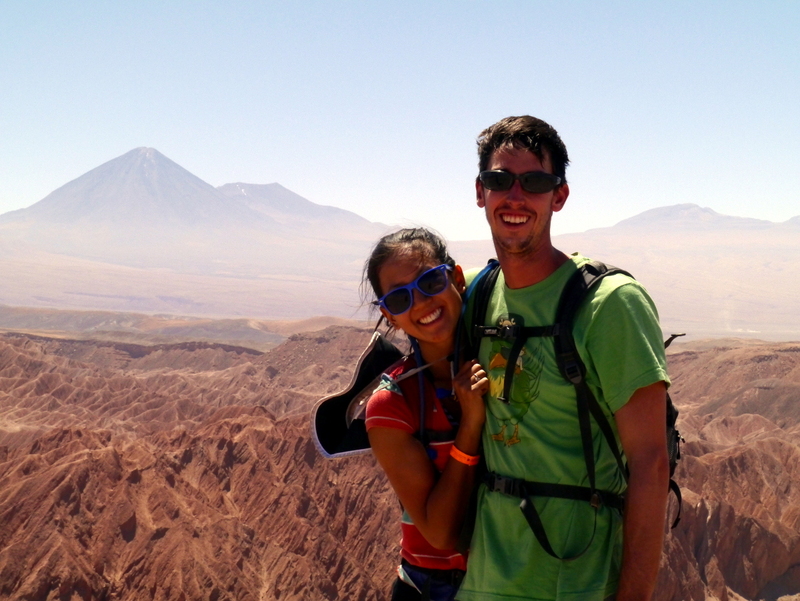 George and Luca had also headed to Caldera, so we hoped that we would be able to catch up with them again. The night bus sounded like an attractive option – no need for a hostel and we’d arrive in the morning. 4AM arrived and we were abruptly awakened by the bus attendant and casually dropped off on the side of the highway. It was another 3 km hike to the town center, the only people we passed were a few stumbling drunks. We decided to hole up in the kiddie playground in the middle of the Plaza de Armas to try to hide from chilly wind. Regardless of Matt’s attempts to assure me that no children would be on the playground at 5AM, I was too paranoid that we would scar(/e) a little kid who stumbled upon us occupying his favorite slide. This felt like we had hit rock bottom for places to sleep. This sleepy town doesn’t wake up until 9:30/10, so after an hour long search for a hostel or hotel, we finally found one near the main square. As I negotiated for a two night stay, Matt thought he heard a familiar voice coming from the kitchen area. To our surprise and comfort, there sat Luca and George sharing coffee and talking about the nice beach down the road at Bahía Inglesa they had visited the previous day. They weren’t leaving until the evening so they joined us on the beach for lunch, ice cream and a few beers. 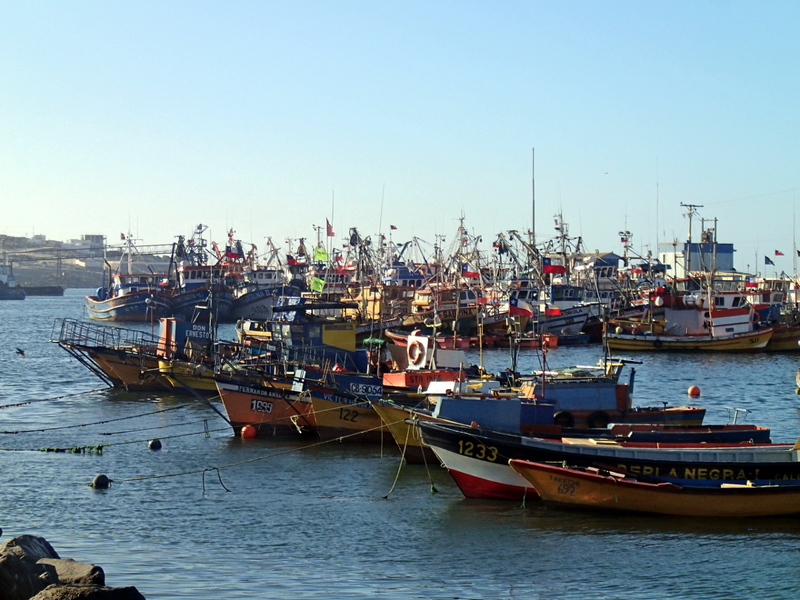 We spent the rest of our time exploring the two relaxing beach towns before catching our next bus towards La Serena. posted on twitter 🙂 Tchau! shared on our facebook 🙂 Tchau!